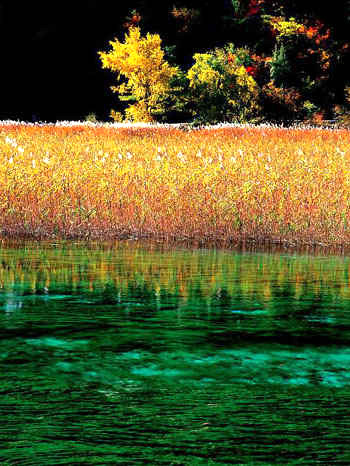 Jiuzhaigou Valley of Sichuan Province has been crowned as "Wonderland on Earth". The name Jiuzhaigou means the Ravine with Nine Villages, so named because there were originally nine Tibetan villages there. The local Tibetan population that is left still maintain their own cultural conditions. 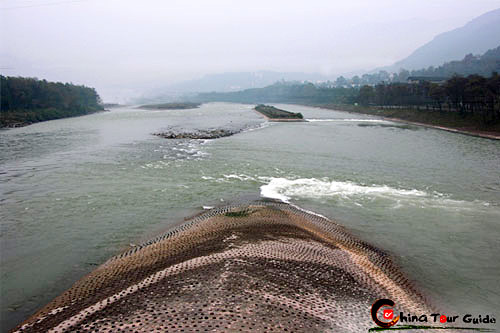 The main valley is 50 km (31 miles) long, and is where the Shuzheng, Qunhai, Rize, and Zechawa valleys come together. Most of the landforms are the result of glacial and tectonic activities that took place in ancient times. The soil content is mostly calcium carbonate. Waterfalls and streams link over 100 multicolored lakes of various sizes, many of which lie at the base of glacially formed valleys. 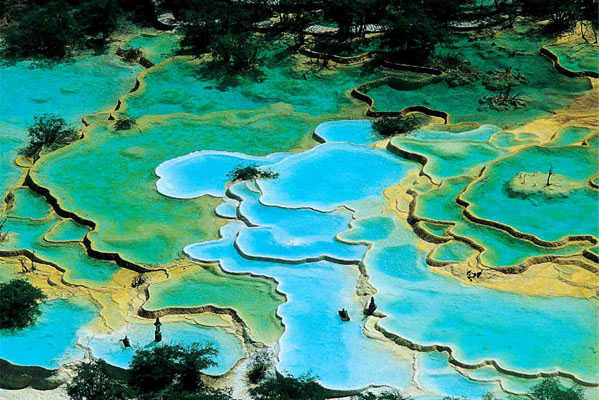 These superb, natural mountain lakes are named "haizi" by the local Tibetans, which means the sea. 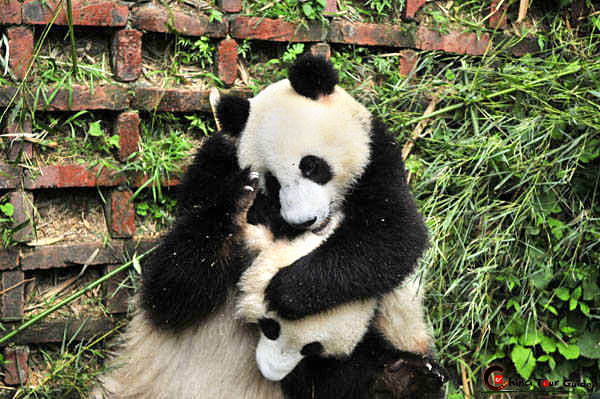 More than half of the scenic area is covered in forests, bamboo and flowers and home to such rare animals as giant pandas, golden monkeys and white-lipped deer. The whole Jiuzhaigou like a painting. 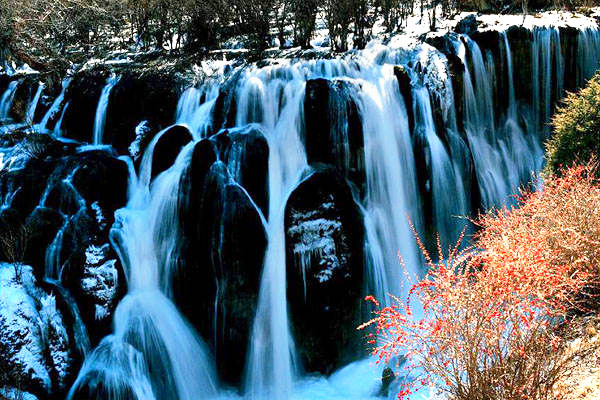 What a wonderful waterfall in Jiuzhaigou. Water is the soul of Jiuzhaigou Valley. The water here is crystal clear, but the dissolved limestone and mineral deposits formed under the lakes make it appear bright and multicolored. This combined with the inverted reflection of the shore's trees, changing colors with the season, form a truly remarkable sight. According to geologists, the lakes were formed by calcium carbonate in the flowing water when the earth was in the interglacial stage. 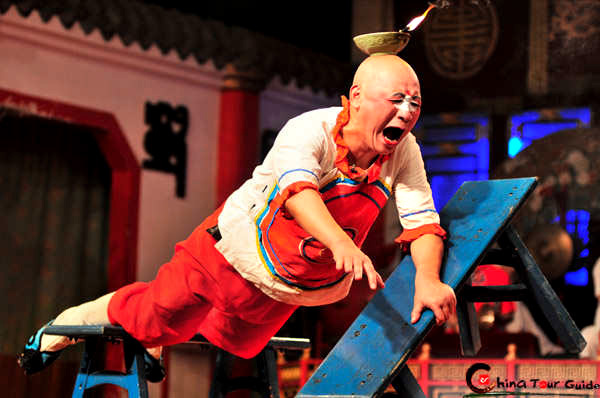 The calcium carbonate could not coagulate, but flowed with the water. More than 12,000 years ago, the global climate became warmer, and the calcium carbonate became active and attached itself to obstacles in the water. As time passed, the attached matter became thicker, forming the milky white banks of barrier lakes. The majestic lake and mountain scenery turns Jiuzhaigou into a magic dreamy wonderland. 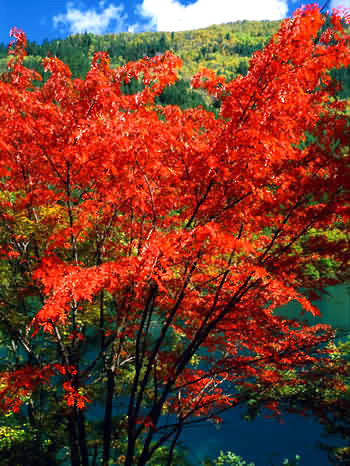 The leaves of maple get red in autumn. The clear pool is full of reed. The numerous lakes in Jiuzhaigou Valley have evoked religious feelings in the local residents and given rise to many enchanting folktales. Legend says that the goddess Wonosmo dropped a mystical mirror, a gift of love from the god Dag, here. The broken pieces became the 108 lakes. More recent stories abound concerning the existence of monsters in various lakes. One of them, Wolonghai or Dragon Lake, has a calcareous dyke running through it clearly visible below the water surface. Local folklore has compared it to a dragon slumbering on the lake's bottom. 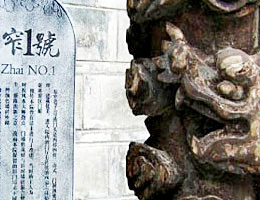 These stories are a further attraction to tourists and have received some scientific interest. The seclusion and purity of the valley is like a magnet drawing people, especially in a day and age where concrete and pollution is becoming the norm. The tranquility there allows you to feel your own heartbeat and truly think about the deep questions of life. Words can hardly describe the breathtaking scenery or the feelings of those who visit it.